When Colin Thurcroft decided to expand his hiking gear business with a retail outlet, the derelict shop close to the centre of his home town seemed ideal. But something truly bizarre happened there nearly forty years ago, and it has left behind some tantalizing clues. As Colin digs deeper, he comes face to face with an international conspiracy beyond his wildest imaginings and the darkest of government secrets. Well this novel is quite a gem that has kept me thoroughly entertained for the last couple of nights. When Colin Thurcroft decides to expand his business he looks at buying an old derelict house through a compulsory purchase order but he gets far more than he bargained for when the estate agent takes him to look around. This really does give the idea of a sitting tenant a whole new meaning. There is a very dark mystery to uncover and Colin is determined to get to the bottom it. The deeper the mystery sinks and the more Colin becomes entangled in this web that has been hidden for many years. What has Colin woken up? I couldn’t even start to second guess where this novel was going to go. 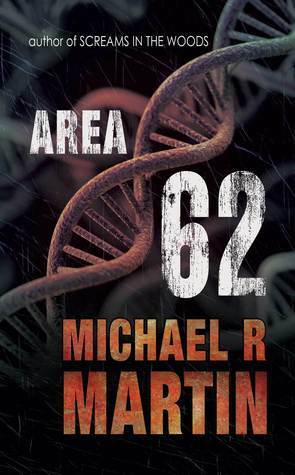 What I can say is there is never a dull moment, Mike Martin keeps the momentum going right through the book. There are a lot of shocking revelations that just wowed me and made this story jump to a 5 star read for me. It ticked all the boxes that make it into a cracking super natural thriller and even had a little romance in it too. I loved the end. Superb! If you like super natural thrillers then I am sure you would like this book too.